At the law firm of Buckfire & Buckfire, P.C. our personal injury lawyers have significant experience filing Michigan bed bug claims on behalf of individuals suffering from bed bug bites. Bed bugs are recognized and distinguished from other similar insects by their extreme dorsal-ventral (back to stomach) flattening, their lack of wings, and their reddish brown coloration after feeding. They typically do not get larger than 7 mm (~1/4”) in length and normally feed late at night or early in the morning, therefore most people are in fact unaware when being fed upon because they are sleeping. Every person is different as far as how their body reacts when they are bitten by a bed bug. Some may no show reaction, whereas others may react severely - bites developing into welts that itch for weeks and result in keloid scarring. The most common places for bed bugs to occur are in hotel rooms and apartment buildings. Hotel operators and managers of apartment building have an obligation to guests and tenants to routinely inspect for bed infestations and take all necessary steps to exterminate bed bugs from their property. In addition, Michigan law does not explicitly mention “bed bugs,” however laws that authorize the government to protect the public against vermin, rodents, insects, or nuisances or conditions detrimental to human health, also apply to protect the public against bed bugs. 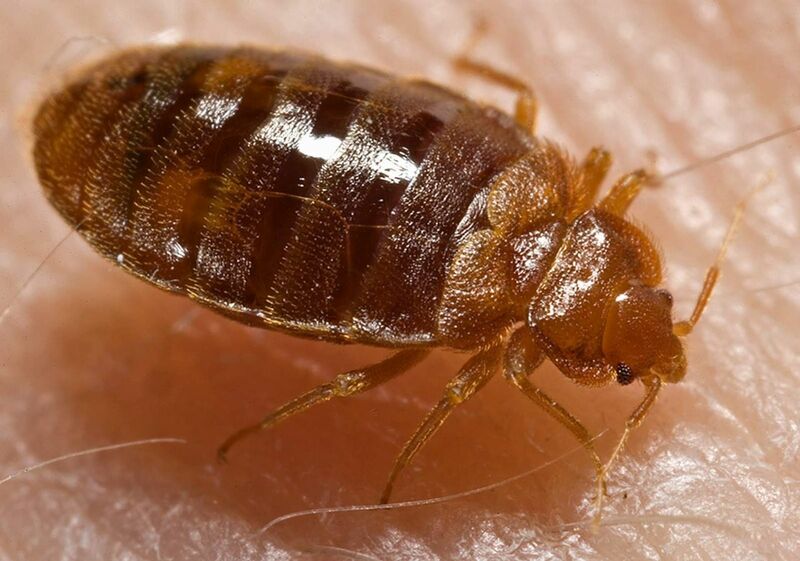 Therefore, when a victim suffers injury from bed bugs, they may be able to file a Michigan bed bug claim and sue the liable responsible party for their injuries. Compensation for these lawsuits may include money damages for all medical costs, pain and suffering, emotional distress, and property damage. Additionally, victims may have private causes of action (i.e. right to sue) if they suffer harm from bed bugs; for example, if they are sold infested mattresses or other goods, or their landlord fails to address a bed bug infestation. There are strict statute of limitations for filing a bed bug lawsuit in Michigan, therefore if you have a claim it is important that you consult with one of our top rated personal injury lawyers immediately after the incident. We have significant experience in these types of cases and are currently handling claims on behalf of victims harmed and injured from bed bugs. For more information on filing a Michigan bed bugs claim or to speak with one of our top rated expert and qualified personal injury attorneys, call our law firm office now at (800) 606-1717. We will start working on your case immediately, gathering all the evidence to prove and win your case. Best of all, we will represent you under our No Win, No Fee Promise which means there are no legal fees or costs until we win or settle your claim. Call now to learn your rights!